I’ve been meaning to record some thoughts on China, having been working here cumulatively maybe a couple months, mainly based on observations around Shanghai. I’m not trying to imply particular insight, just what struck me. People tell me I look at things differently than most, and in insightful ways. They wiped out most physical and architectural remnants of their history, apparently with the goal of modernizing. Their cities are all modern — mostly more modern than America’s — but you see almost no buildings older than twenty years old. I was surprised in Shanghai when a friend described hundred-year-old buildings as old. Her country goes back thousands of years and mine a couple hundred, yet my city’s old buildings are older. France is the most visited country. They understand the value of maintaining tradition. If you make every city like every other city, why would people visit? All stairways and bathrooms smell like old cigarette smoke. People are not uniformly fat here, like in America. Even average looking people look more attractive because they don’t cover their bodies with fat. 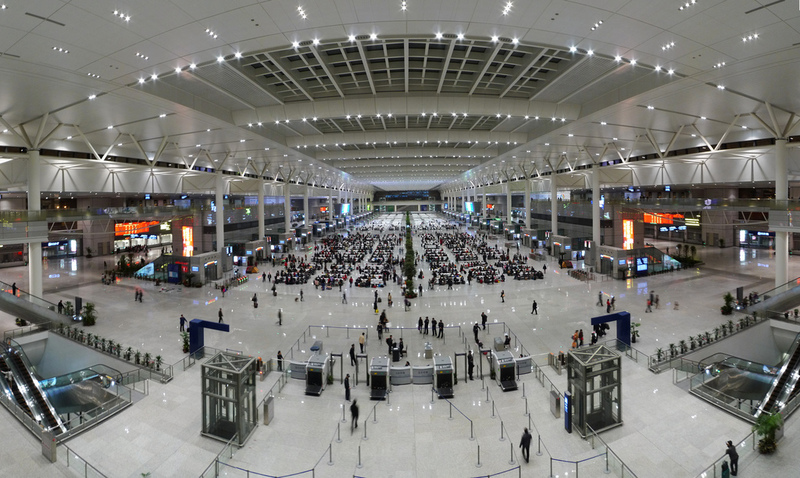 Their train stations and airports are big, beautiful, and clean. I posted earlier about America and how its “leadership” neglects its infrastructure. China’s train stations remind me of how we destroyed one of our most beautiful train stations — Manhattan’s old Penn Station. At the same time China is destroying its architectural heritage it’s building a shining new future. Odd choices — too bad they didn’t decide to hold on to some of it while modernizing the rest. 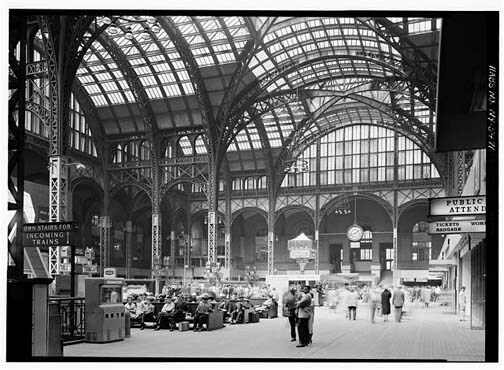 New York’s old Penn Station had it beat, though. If only it hadn’t been demolished for the catastrophe that replaced it. 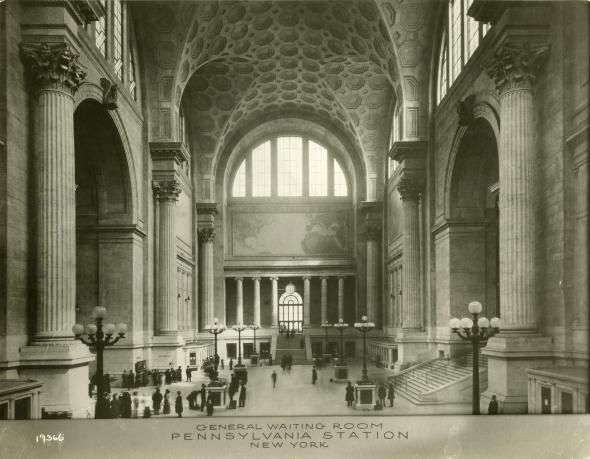 You’d have to go to Europe to find a comparable station to the old Penn Station. If they offer you orange juice, they probably mean orange soda or a Tang-like chemical concoction. The skies are almost always hazy. I don’t know if that’s the weather, pollution, or something else, nor if it’s all the time or just coincidentally when I’m around. In any case, I see blue skies about once a month. You don’t notice it, but when you think about it, you can miss blue skies. And I don’t know what to think about tens or hundreds of millions of people seeing blue skies only once a month or so. Any clean open surface they fill with clutter. No buildings, for example, have large sweeps of open space. Everything is cluttered. It’s like a web page in the early internet before people started to value white space. Come to think of it, their web pages are cluttered too. They don’t go for clean. I think this is an official government page, for example. I can’t tell what makes nice restaurants nice. Sometimes my coworkers tell me they’re taking me to a special place, but they all have the same made-in-Chine furniture and flatware, the decor never changes from plastic-y chintz, and each dish has a pool of oil at the bottom. I’ve loved the food, though. At least the tastes and textures. Too much oil for my taste. Still, unlike many (most?) “restaurants” in the U.S., all the restaurants I’ve eaten at seem to start with fresh vegetables, not frozen cardboard boxes packed at an Applebee’s factory and shipped for reheating. They have a lot of so-called see-through apartment buildings — buildings whose structure looks mainly built, but have no interiors, just concrete shells. I don’t know if they plan to finish them so people can move in. They don’t mind each other having their cell phone ringers on full volume even in closed spaces where the extra noise is unnecessary. They’ll pick up calls in the middle of meetings and meals. Nobody has a problem with it. In all my time here I’ve heard one, maybe two, loud sirens. I feel safe everywhere. In New York we hear sirens several times daily but I don’t feel any more safe. Cops here don’t tell you what to do. In New York, and most places in the U.S. I feel, cops intimidate citizens. Of course they can be helpful, but I think of them as attempting to intimidate you with unchecked authority. I don’t get that sense here, and I don’t just mean as they relate to me, but how they behave with Chinese too. Many buildings have facades that look like (sorry for a possibly obscure reference) the buildings whose design by Howard Roarke Peter Keating destroyed in an old black-and-white movie of the Fountainhead I regrettably saw. Those buildings in the movie were comically garish. He tried to make them pretty by ignoring they purposes and making them look like old classics, like the Parthenon. They seem to do that a lot here — like they make tall apartment buildings look like western houses. 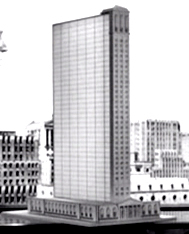 Here’s a small still showing how Keating put cookie-cutter facades on otherwise cutting-edge buildings. You have to look hard to see the classical Greek portico. I’ll find and post a picture of the Chinese western-type design I’m talking about. This was an excellent, engaging, and thought-provoking post.